I’m not talking about fashion magazine perfect, but rather like your outfit is missing something. And you have no idea what. I had that thought all the time! And it usually ruined my confidence at work or networking events when I needed to step out of my shell and meet new people. My secret now to taking an outfit to the next level? I’m not talking about expensive jewelry, nor do you need to buy a ton of it! Do you ever go the accessory section and just feel overwhelmed with all the choices? What necklace will I be able to wear with the most pieces? Do I need that length necklace to go with this top and that length with this one? I swear… so many choices make me want to pull out my hair. I have two solutions for you!! 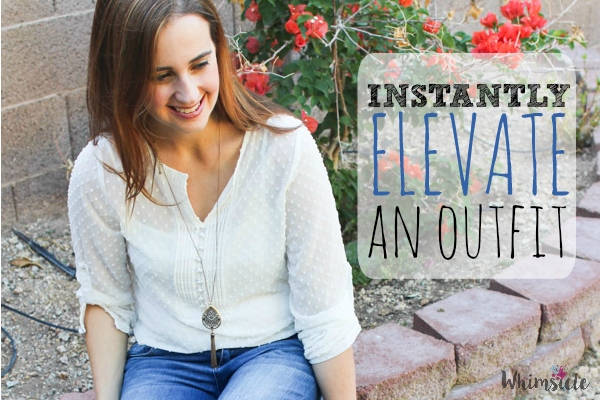 Cents of Style is an online accessory store with EXTREMELY affordable prices! I recently met them in person at a conference and I love their mission as well as what they offer. Even better, the Cents of Style team is made of women – most of whom are moms. So much cute CUTE stuff!! And to help you in the decision process, I have one amazing necklace for you! How gorgeous is this?!? 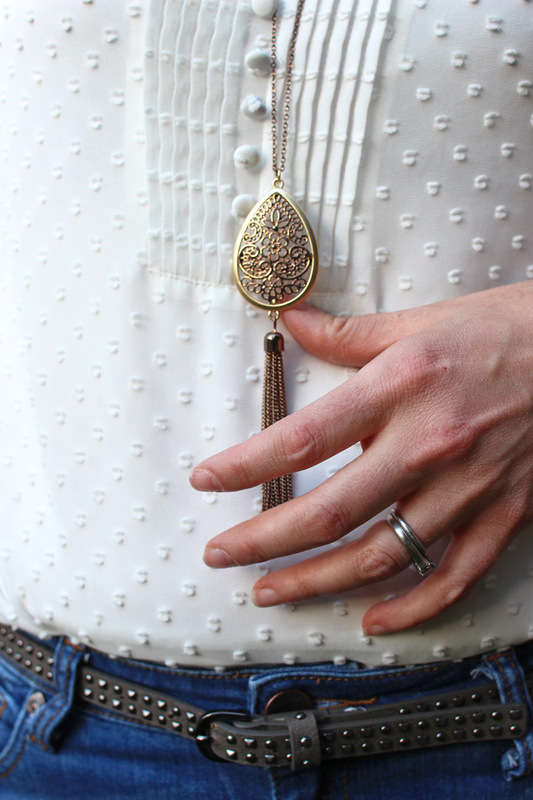 This is the Willma Filigree Tassel necklace. It’s long. Its fun! It can go with a dress as well as your favorite top. I love it because it adds an extra element to what could be an otherwise basic outfit. When you get this necklace, you have a piece to instantly elevate most any ensemble. Enter the code TASSEL at checkout for the $5 off! One necklace to go with so many outfits! This is such a beautiful piece for such a great value.